The sidewalks, if connected, would proved pedestrian access from, approximately, McGinnis Ferry Road to Buford Highway. 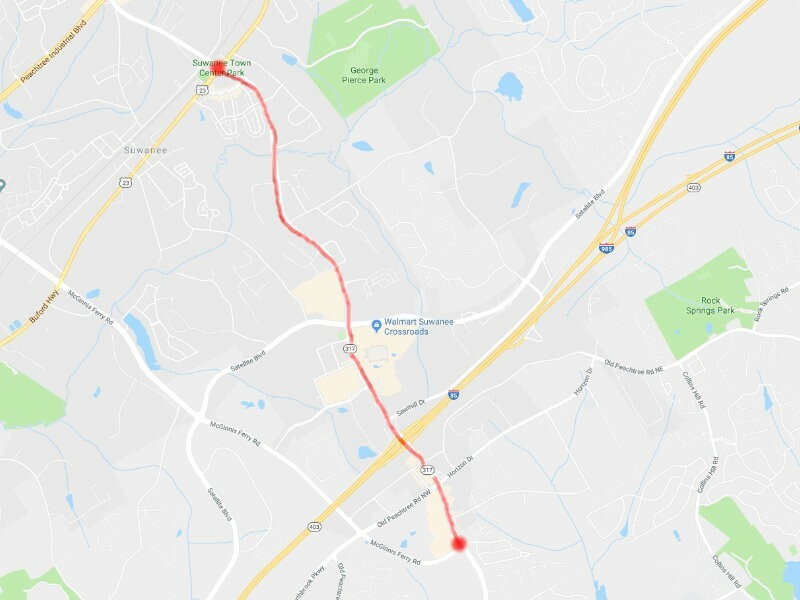 The city of Suwanee is looking to have a sidewalk on at least one side of Lawrenceville-Suwanee Road spanning the portion of the road within the city limits. City leaders are looking to get bids on the contracting work to fill in the gaps between, approximately, McGinnis Ferry Road and Buford Highway, according to Marty Allen, city manager. "We have, probably, six or seven gaps that are relatively easy to fill, and we're looking to get pricing on that. We used our current on-demand contractor, and we weren't real comfortable with the pricing that we were getting," said Allen in an interview with AccessWDUN. One such example exists near Town Center Park, where officials are looking to fill in the sidewalk gap between Mohawk Trail and Cherokee Trail. "But there are other, just small sections along Lawrenceville-Suwanee Road" to fill in, said Allen. The project will likely be lumped together with the reconstruction of Jackson Street, a road in the Old Town area that has never been paved, in an effort to make it large enough to attract more competitive bidders. Once bids are returned, city council will vote on whether or not to award the contract for the work.